One of the most important reasons for replacing your phone is that it often overheats, this issue that happens due to many different reasons and has many solutions that may or may not help in solving it. There are many reasons that may cause phone overheating, but before going into the talk about the reasons, first, we need to answer this question: Is your phone is really overheating and what could happen due to longtime overheating? To answer this question, first, you should identify the causes of the overheat, in the normal statues, if you were playing a game like PUBG or a racing game or others for a 15 or more minutes and found that your phone is getting hot, then you don’t need to do anything in this case, it’s totally ordinary and we will discuss that later in the reasons section. Otherwise, if you are using your phone normally like exploring, calling, or communication with friends and found that it’s hot, then you need to do some investigations and follow some of the solutions I will provide to you. For the other part of the question, the battery is the most affected part in your phone by the overheat, as it could completely damage it, then comes the performance, as the overheat means more RAM is used and more power is consumed, meaning that the performance will go below the accepted performance and you might see a message telling you that an app closed or failed to open every time you try to open it. To understand the solutions to fix Android Phone Overheating, first, you need to know the reasons, and these are the most common reasons you can overcome by yourself. I put these four reasons together cause they all mean that more power consumed, and more power consumed means high temperature which will cause Android phone overheating. So, based on these reasons, the main solutions you need to follow is to lower the brightness whenever you can see the screen clearly in low light, or you can easily enable Auto-Brightness option to let the phone adjust the brightness according to the surrounding light and the battery. Second, don’t enable Wi-Fi connection unless you are using the internet, and for gaming, as mentioned above, longtime gaming means overheating your mobile, and it’s the same for Multitasking. Also, background apps consume more resources including battery, processor, and RAM which will increase the phone’s temperature in return, so, try to turn off your unused apps and put some others on sleep to avoid Android Phone Overheating and also, to save your data. In order to turn off background apps, first, you should know the applications works in the background, then head to the Settings, Maintenance, Battery, and click on Optimize to put the most battery consuming application into sleep. One of the most ignored reasons for phone overheating is putting your device directly under sunlight, this will increase the temperature of the phone’s body, which will then cause overheating the whole phone. This is the most common reason for Android Phone Overheating as third-party charges from unauthorized distributers are cheaper which attract phone users to purchase and use, and these chargers will in return increase the phone’s temperature and totally damage your battery in a short-period. The second reason here is using your phone while charging it, which will cause a loop of charging and draining the battery in the same time. This will affect the battery life on the long term, and will increase the temperature of the phone on the short-term. Using your phone’s camera for a long time and with high quality specially for recording videos could also increase the temperature of your phone. Try to decrease the quality of your footages and record short videos over the time not long one-shot video that may lead to increasing the phone’s temperature. Another common solution that will increase the body of your phone. Having a plastic case will insulate your phone from the surrounding which means that the heat will be kept in between the phone and the case for a long time. So, if you have done all the above and your phone is still heating, try removing your case and wait for the results. If none of the above solutions helped you to fix Android Phone Overheating problem, and you suddenly found that your phone is overheating and being slower in terms of processing, then you may be suffering from a malware or a virus. In this case, I recommend you to use one of the 10 Best Free Virus Removal Apps for Android we wrote about before and do some scans to avoid having a malware that’s manipulating your device. Along with the previous mentioned solutions, and if they all weren’t go well if you have had some difficulties in following some solutions, I will provide you in this section with the best 3 phone cooling apps to cool down your phone according to the rating on Google Play Store. 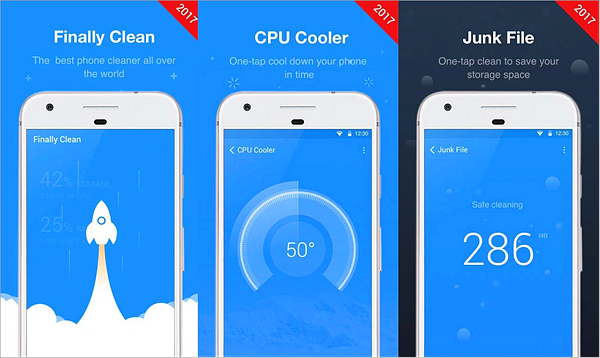 These 3 phone cooling apps could help you whether you are suffering from Android phone overheating or Android Phone slowing down issues as they clean and boost your phone by doing some of the mentioned solutions automatically without the need to do them all manually by yourself. This is the highest rating application on Google Play store in the field of cooling and boosting your phone. Detecting overheating apps and turn them off. Analyzing your CPU usage and cool down the phone with a click over the home screen widget. Knowing that your phone is overheating to take some actions. Increasing the battery life by putting the applications that consume much battery on sleep. Uses special algorithm to identify applications causing Android phone overheating to shut them down. Cleans Junk Files to give you more space and speed up reading your internal/external memories. 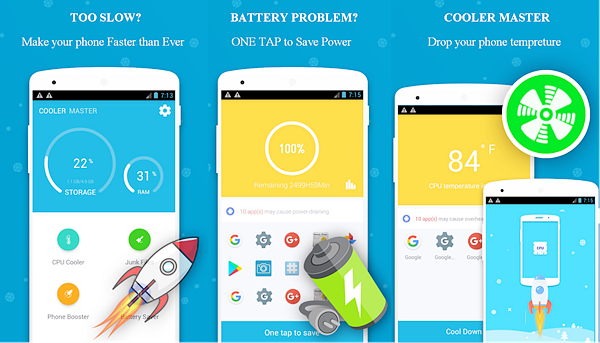 Detect apps that drain power to increase battery life time. Boost your games and apps with one click using a home screen small widget. 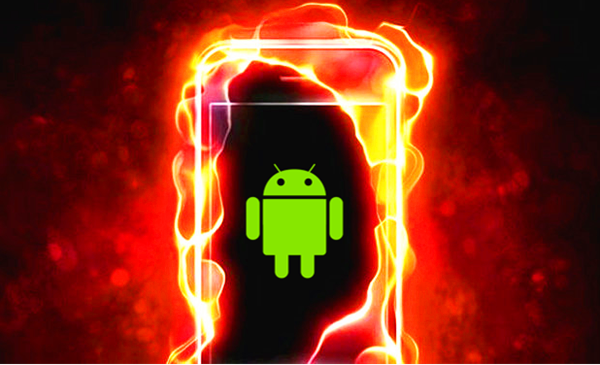 Android phone overheating issue by detecting and shutting down apps consuming power. Phone slowing down issue by closing background apps. Storage issues by removing junk files, unwanted cache, thumbnails and more. Applications trash by using App Manager that allows you clean apps’ trash after uninstalling them. In addition to phone overheating, Android users often encounter data loss problems. There are many reasons for data loss, such as accidental deletion, mobile phone factory reset, formatting, system upgrade, etc. So what happens when important data in the phone is lost or deleted by mistake? Don’t worry! There is a great software that can help you restore deleted files. It’s called Gihosoft Free Android Data Recovery. 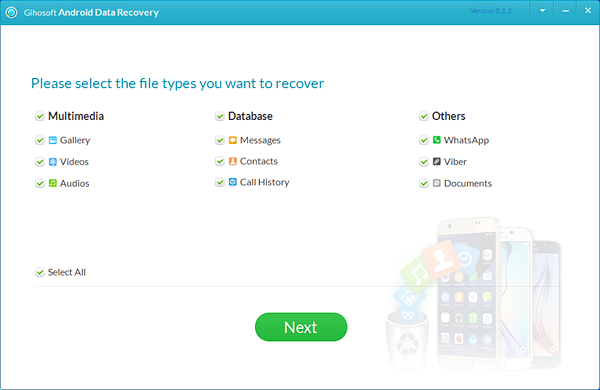 The software can be used for a variety of types of data recovery, and is compatible with all Android phones and operating systems. With it, no matter what brand of Android phone you use, you don’t have to worry about it when data is lost. Download Gihosoft Free Android Data Recovery software Now for FREE! 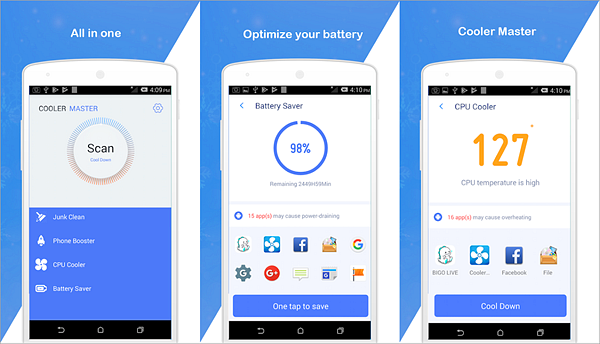 By reaching this line, you have learnt the most common reasons and solutions for Android phone overheating issue, and you now know the best 3 phone cooling apps that helps you monitoring your whole device.